This pool pump is energy certified and we all know what that means; you get to save a ton of money when it comes to energy costs. But that is not all that this pool pump has to offer as you will learn once you go through its wide range of features. Read on to get to understand the pump better and in the end, you will be rushing to get one for your pool. 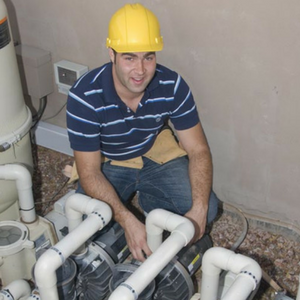 You have probably had the struggle on how to decide on a water pump for your pool. This is due to the fact that most high-speed pool pumps which are really great at cleaning your pool at a fast rate come with the downside of consuming energy just as fast. With low-speed pumps, you save on energy but you also have to endure long hours of cleaning which can be frustrating when you really need to use the pool. How about getting a pool pump which can operate at various speeds while being energy efficient no matter the speed used? 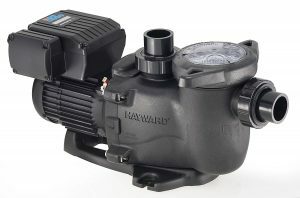 That pump is none other than the Hayward SP2302VSP Max-Flo VS Variable-Speed Pool Pump which has been designed for super energy efficiency. Not only will you save on your running costs but you will also be doing the environment a huge favor which it will return one day in one way or the other. The motor is made with the use of a permanent magnet which is quite durable, enabling it to run for a long time while fighting the effects of wear and tear. The motor is cooled by use of a fan which is enclosed with the motor which does away with the need for air inlets. This ensures that the motor can run efficiently under cool conditions, without running the risk of pulling in dust from the environment through air inlets. It also makes maintenance easy as the motor is not exposed to debris. It is also possible for you to monitor how much energy has been consumed during operation through the use of a digital interface on the pump. The basket is extra large which makes it possible for you to extend cleaning times. The pump allows you to schedule cleanings according to your preferred timings through the use of an in-built clock. This pump has been designed to operate quietly which allows you to relax by the pool without interruptions from the pump.